Wildschönau is a high mountain valley that offers the sort of alpine scenery we all lust over when we see it in films. Situated in the Kitzbühel Alps, the valley is made up of four church villages and is home to roughly 260 farms that sprawl across the nearby land. 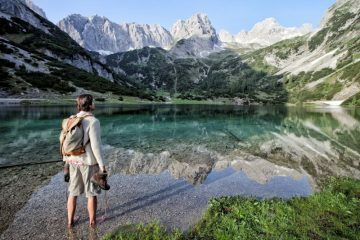 Life in this small corner of Tirol is simple, quiet and relaxed – perfect for exploring nature without masses of people in the way. 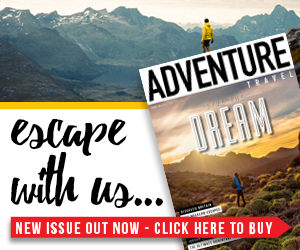 The valley and the surrounding mountains play host to over 180 miles of well looked after trails, so hiking is very much on the cards. 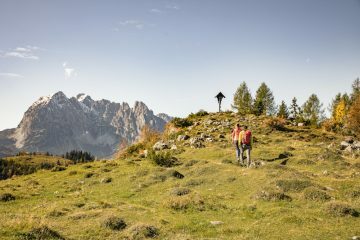 Unlike other areas of Tirol and the Austrian Alps, the mountains here are less stark, rugged peaks, and more gentle, grass-covered mountains with serene meadows, ravines and forests. 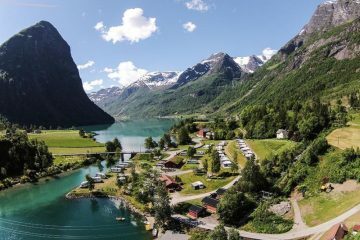 Beyond these, you’ll find higher mountains with quaint alpine huts offering the perfect pit stop. There are routes of all distances that suit all levels, and the Markbachjoch cable car means you can take on higher-altitude hikes without a day-long march uphill. The trip on the cable cars in both Niederau and Auffach is free with the Wildschönau Card. 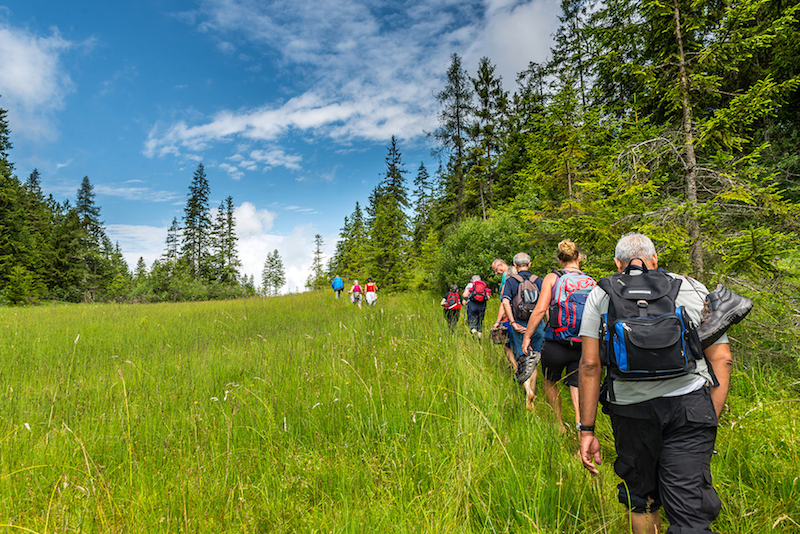 One of the main reasons we spend hours on end hiking up rugged mountains is for the spectacular views you enjoy as a result, and the walks around Wildschönau certainly deliver in that regard. Fortunately, in the Wildschönau you can spare yourself the climb by using the free cable cars. One particular walk that delivers exceptional panoramic views is the route from Markbachjoch to Rosskopf (1,731m), via Halsgatterl (1,562m). 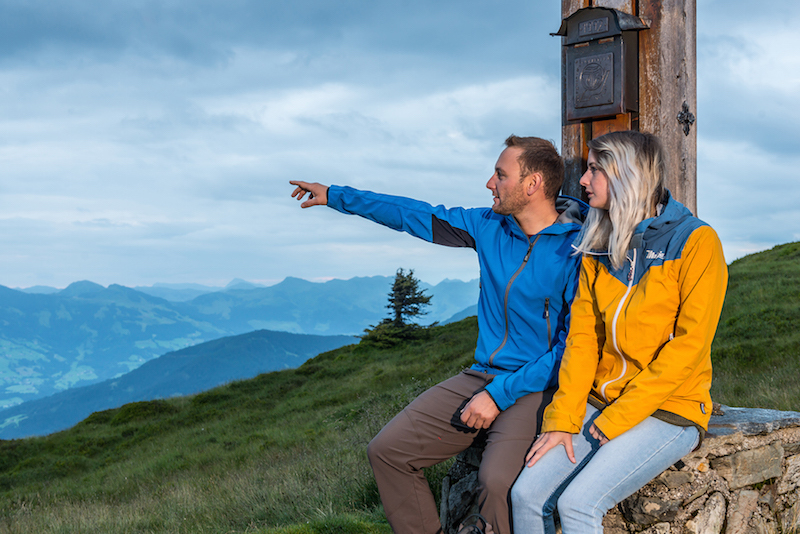 Taking just a few hours, this five-mile hike sees you transported into the mountains on the Markbachjoch cable car, before heading along up to the highest point on the walk, Rosskopf. From here, you head onward to Horlerstiegl (1,475m) before heading back to the cable car via Horler Stiege chapel and serene alpine pastures. The views throughout are spectacular, as a patchwork of green works its way up and over rolling hills into the distance and rugged peaks rise up to form a dramatic backdrop. Another route in this area brings additional rewards. Starting from the Markbachjoch cable car station, the ‘cheese trail’ still delivers achingly beautiful views (you can even see as far as Austria’s highest mountain), but it also provides culinary delights. The route passes south of Rosskopf to Brixentaler Holzalm, a cheese farm from which you can taste diary products on a lovely terrace. 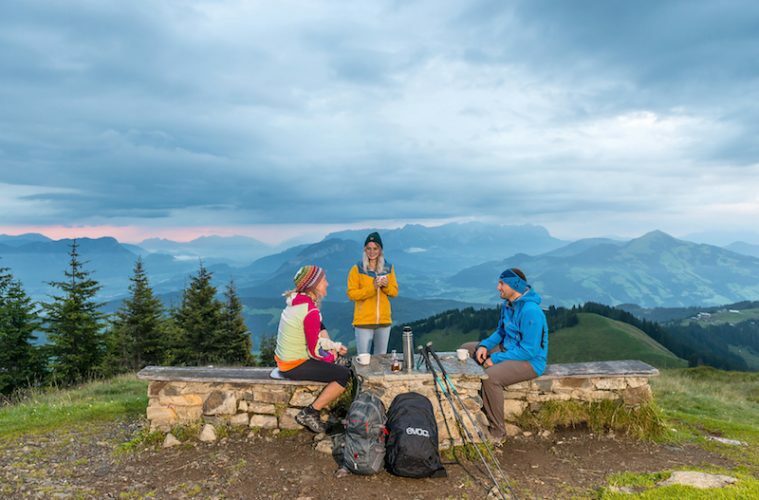 Wildschönau is also home to a range of other activities that help make this an exciting adventure destination. One such option is paragliding. The valley is one of the best regions for paragliding in the whole of Tirol thanks to the weather in summer. Essentially, the wind conditions are close to perfect due to the protected location. The existence of the Markbachjoch cable car makes things even more convenient, as the lift enables you to reach an altitude of 1,500m without much effort, which is ideal for take off. Then, all that is left is to start running down the mountain, trust in your instructor, take flight, sit back and enjoy the ride. Is there any better way to take in the stunning Tirolean Alps than from the air? Once you’re back on solid ground why not take to two wheels? 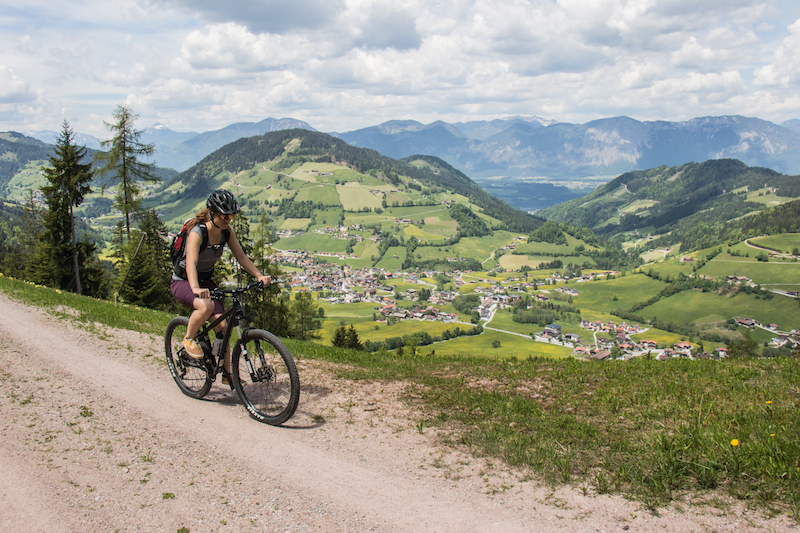 Like much of Tirol, Wildschönau is a great hub for cycling, and there are plenty of mountain bike tracks and road-based routes for you to explore. The gentle, hilly landscape makes for the ideal location, with thrilling descents and rustic huts that are perfect rest stops. Stage 13 and 14 of the Tirol Bike Safari (a fantastic bike route running through Tirol) also passes through the valley, delivering spectacular views of the Wilder Kaiser mountains and the Kitzbühel Alps. Alternatively, why not try out the Wildschönau Highrope Course in Zauberwinkel, Oberau? There are three routes to choose from high up in the tree tops, with platforms ranging in height from 17-21m above ground. The course sees you climb, clamber and swing through the forest, with occasional openings between trees treating you to views into the Inn Valley and across to the Wilder Kaiser Mountains. It’s also worth noting that free guided walks are available to people with the Wildschönau Card (given out on arrival at your accommodation). Starting in May and ending in October, these walks take people to some of the loveliest spots in the area. 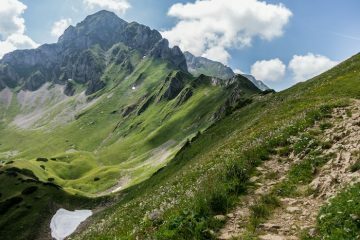 Examples include a spectacular sunrise walk to Kragenjoch Mountain (1,425m) and a family-friendly walk across the Filzmoos Moor, offering an incredible insight into alpine animals and plant life. 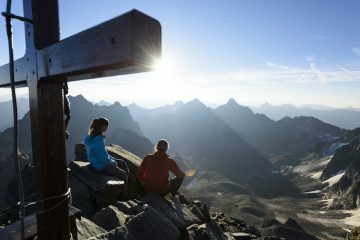 For more information and many more ideas, head to www.wildschoenau.com. “When I come up to the hut for the first time in early summer I know what awaits me: lots of hard work. I hope that the cows and the milkers stay healthy. Up here there’s no family and no private life – it’s just cheese and more cheese. That’s what I live for during these months. 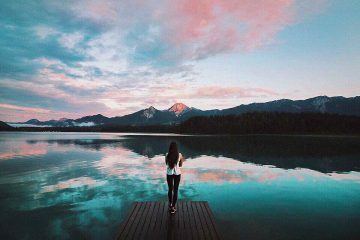 I get up early in the morning and go to bed late at night. Sometimes we have up to 34 tons of cheese stored in our cellar. The recently made cheeses have to be turned every second day. Each wheel of cheese weighs between 30 and 32 kilos.” To discover more fascinating insights from locals, visit www.love.tirol. For more ideas on what to do in the Austrian region of Tirol head to www.visittirol.co.uk or follow @visittirol on Facebook, Instagram and Twitter.